Have you ever struggled to write a Manifesto for your big idea? I did. For months. I tortured myself over it. I delayed launching my new blog because I couldn’t get it just right… and I finally turned it inside out. Instead of writing my beliefs, I wrote the questions I’m most intrigued by. It felt totally authentic, not forced, and not preachy. Head over to the new blog and check it out. Then try it for yourself. I’d love to read what you come up with. Last weekend we celebrated my Dad’s retirement at the family farm. Around 2oo people came to celebrate his 45 year career. He could have kept at it, but he wanted to finish strong. It was staggering to see the impact he’s had on so many lives in rural Minnesota and beyond. As a little kid, I didn’t understand his work, or appreciate how important it was. I just saw how much time it took. So as an adult, it was amazing to hear lots of stories of how much his work meant to his clients. So many people depended on his insights, trusted his counsel, and valued his friendship. And that’s why I’m retiring. Of course, I still have decades ahead of me in my working life, so I’m not retiring completely. But I am retiring from my role as writer of this blog. I started Toward Abundant Life a little over a year ago. This little experiment has allowed me to connect on some level with thousands of people from over 60 countries. It’s also been a tool for healing and self-discovery beyond anything I imagined. Writing these posts not only gave me a written account of past redemption, it gave me a deeper understanding of who I am and what I have to offer. I’ve gotten amazing feedback from several of my readers, and I even won some great prizes in a blogging contest this week. But if I want to have the kind of impact that’s worth celebrating decades from now, it’s time to stop dabbling and go pro. The tagline for this blog is ‘deep down, you always knew there was more’ and it’s time for me to live that belief. I’ve sensed for a few months that God was prompting me to start a new blog. I hesitated because this new project feels so important, and I was afraid I’d get it wrong. I spent months getting training, brainstorming, hesitating…. Next week, I’ll be launching a new blog on my new website. I’ll pop back over here to invite all of you to join me, and I’ll leave these posts up for now. But I know it isn’t realistic for me to keep up with two blogs, and I want to finish strong. But before I go, I’d like to leave you with one more question: What’s the thing that you need to stop doing so you can have the impact you were born to make? Last week I set the stage to share my biggest mistake by writing about the first half of our recording odyssey. If you missed it, you can read about it here. Today, I’ll wrap this story and share what my big mistake taught me. 2006– My family is sent to France for work while Jeremy continues to recover in Minnesota. For me, leaving the album unfinished is the hardest part about leaving for France. 2007– With Jeremy’s cancer in remission, we gingerly discuss resuming recording after I’m back in the States. We are both fiercely committed to the project, but still gun shy. 2008– I have a baby in January, and Jeremy’s wife has one in June. We hold off. 2009– We finish all the recording. After years of laboriously slow going, Jeremy and I record “Ruth” together in a single take. I savor it (but seriously regret not doing a live album). Jeremy finishes the mixing and mastering, and I finish the design and packaging. “Return to Sender” is a reality. Our 2 families quietly celebrate together in late autumn. 2012- I realized this wasn’t enough and released the album digitally in April. I launch this blog largely because I think I’ll be talking about my music. But Jeremy’s cancer is back, and he’s going through a bone marrow transplant. Promoting my music seems distasteful at a time like this. I write about my own brush with death instead. Jeremy dies in June. It feels like there’s no tasteful way to promote the album after that. Everything feels petty. I know that God still had plans for the music, but nothing had gone as I planned. 2013- Almost a year later, I realize my mistake. Not promoting this music wasn’t gracious, or tasteful, or anything that I want to be. It’s cowardice. The fact is, God entrusted me with gifts to share. Not sharing them is a huge disservice to the people they’re meant to bless. It’s also a disservice to Jeremy, to myself, and to God. From now on, I’m gonna shamelessly promote everything God’s given me, because that’s truth . False humility is just false. So there you have it. I came clean about my mistake, and now I’d love to hear from you: What big mistake did you make? What did it teach you? What gifts are you hiding? I have an album of songs I wrote and recorded, but maybe you already knew that. Recording “Return to Sender” is one of my biggest creative accomplishments, but my mistake is what you probably didn’t know. I’ve never really told the story behind the album, which is perhaps more remarkable than the album itself. 2002– I’ve written songs for over 5 years, but I feel called to share them with a wider audience. I want to make sure the message of the lyrics isn’t obscured by technical glitches, so I need a high quality recording. It feels like a major stretch financially, but we sign a contract with our friend Jeremy to produce an album. We meet to pick songs and set the overall mood for the project. Our church leadership chastises us for not consulting them about recording an album. They accuse us of being selfish and not fully committed to the church. We back off for almost a year, second guessing our motives (now it seems sillythat I viewed this as such a set-back, but at the time we were young, prone to people-pleasing, and desperately wanting to do things “right”). Finally we get a second opinion, and the project is on. 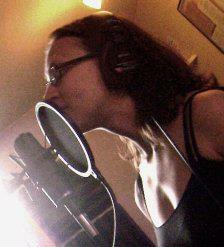 2003– I record my first vocal tracks in Jeremy’s basement studio. When I’m behind the mic, it feels like I can do no wrong. Singing takes everything I have, and yet it’s effortless. Clearly I was born to sing these songs. Jeremy’s carpal tunnel pain slows the recording of the instrumental tracks. We’re getting anxious to finish. I lose my voice. I can’t sing for almost a year, and even talking is torturous. There’s no diagnosis, and no progress on the vocal tracks. I can’t stand knowing I’m the one holding up the show. I’m also angry with God, who I felt sure was leading us to do this recording. So why can’t we do it? Jeremy is diagnosed with Crohn’s disease. The instrumental recording grinds to a halt. 2004– Our spirits are deflated. 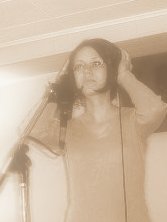 Singing isn’t effortless, and I feel like a shadow of my self in so many ways. But we’re still compelled to bring these songs to life. We tentatively venture back into the studio and manage to eek out a couple more songs. 2005– We have our second son. Jeremy has cancer. We stop even talking about the album. 2006– Months into his chemotherapy, Jeremy calls from his hospital room. He sounds so weak, but he’s eager to discuss a new idea for the album. I have no words. Here’s where I’ll press pause on the story for now. I want to ask you: Have you ever felt called to do something, only to confront one roadblock after another? Where did those roadblocks come from? Tuesday night marks the beginning of Shavuot, also known as Pentecost, or the Feast of Weeks. Like all of the Biblical Feasts, it’s known by several names and has at least as many layers of meaning. On one level, we’re celebrating the giving of the Law (it is cause for celebration, trust me!) We’re also celebrating the outpouring of the Holy Spirit on the same holiday years later. In the physical world, Shavuot is a harvest festival, and it coincides with the Barley harvest in Israel. The whole Biblical calendar is deeply connected to the land and climate in Israel. And the calendar is a picture of redemptive history as a whole. There’s always a spiritual harvest going on in tandem with the physical one. It may be harvest time in Israel, but I’m living in Minnesota, where the snow is still melting from our especially long winter. I haven’t been able to plant anything yet, much less harvest. And speaking of harvest, why is is taking so long for so many of our prayers to be answered? 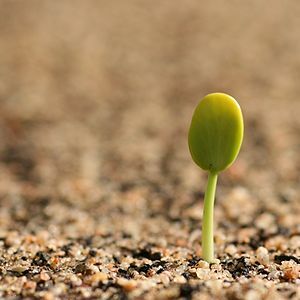 We’re looking forward to a spiritual harvest, but the “ground” has yet to thaw. How can I celebrate circumstances that don’t match my reality at all? Shavuot is an exercise in faith for me. Celebrating the harvest when the snow hasn’t melted yet is a little like celebrating the birthday of a child that has yet to be born. It’s like celebrating your anniversary when you’re still single. You can do it, but it takes faith and imagination. What about you? What area of your life is hard to celebrate right now? What promises can you celebrate today? I did a guest post from a friend’s blog this week, and you can read it here. Sleep. A lot. When we adults want to increase our productivity this is usually the first place we skimp. But it’s no accident that the most rapid growth and cognitive development coincides with the period when we sleep the most. Whether you’re looking to build muscle, boost creativity, or start a business, follow Aviva’s lead and get some sleep. Cry. Don’t hold back. Babies certainly don’t. Stifling your emotions takes so much energy- energy that you need to do more important things. Let it out so you can move on. Eat the best quality food. Again, when we’re focused on an important project, it’s easy to eat for convenience and not for optimal nourishment. But Aviva has been so successful in her first month on the job largely because she is eating only the most superior human food, and eating often throughout the day to keep her energy up. Hydrate. Hydration is critical for performance in every area of life. Ironically, when we adults want to be productive, we usually turn to caffeinated beverages that actually dehydrate us. Aviva devotes a lot of energy to staying hydrated, and again, only the best will do. Get some skin in the game. Infants leverage the power of touch to boost their learning and growth potential. 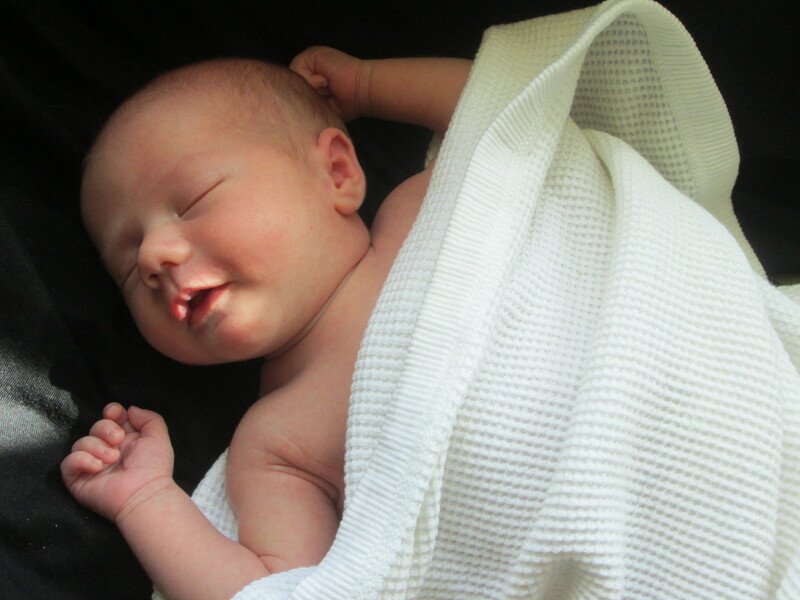 Babies can literally die from lack of skin to skin contact (and lets’ face it, we’re just big babies). Never underestimate the power of touch. Observe Intently. As adults we talk to demonstrate our intelligence, and act to prove our worth. Babies learn so much in such a short time because their energy is focused on watching and listening. Keen observation is especially potent when coupled with rest, which boosts assimilation of new information. What could you learn if you talked less and listened more? How about you? Which of these secrets will you put to work in your life? How can you “show up” more fully and more authentically?